This series is based on contemporary images of boats that take my eye. This usually means they have, or have inherited, a character that makes them stand out from the ‘usual and customary’. This character usually comes from the work they were built for. Where they are still providing their owners with a living, these working boats are predominantly local fishing boats, but, nowdays, those that are still working often represent the end of the line. 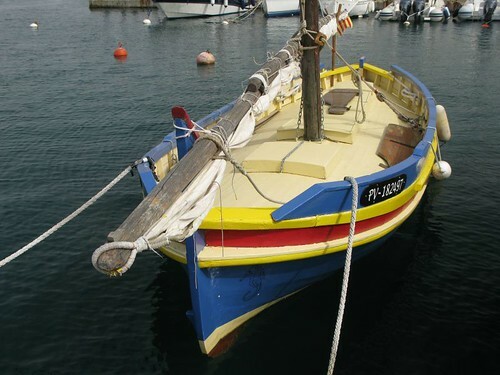 Across Europe, local fisherman are taking to technology and wooden working boats are evolving into leisure boats – or being destroyed. Such is the case with the boats above, examples of which are found in all the ports along this coast. 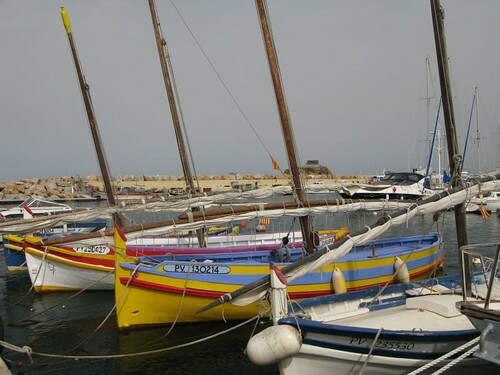 These are barques catalanes a voile latine. I highly recommend the beautifully presented website above. It is in French – (Google have a free translation service but it tends to be word for word and the translation itself needs deciphering). It is worth persevering. Click on ‘Le coin des enfants’ for the local childrens’ view – (click on the cards at the bottom of that page too- and don’t underestimate how rarely you will witness such endeavours). Now look at the images again – look at the rake of the masts, the length of the spars. the absence of rigging, the colours. Wonder what it is like to sail in them (and find out on the website). 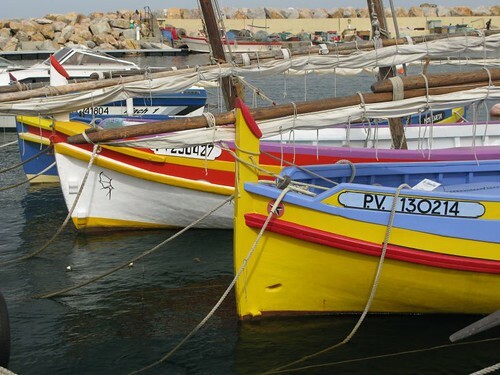 This is the Cote Vermeille, where Matisse and Derain (Fauvism) among others were inspired by the light and a century ago were painting these boats on the beaches.